Mail of the analogue variety, inspired by the gift of a vintage Remington Home Portable typewriter, Remington is one of my original designs that stands the test of time. Inspired by a typed royal letter by Elizabeth II’s lady-in-waiting, it's a simple design that lends itself to letterpress beautifully. Vintage typewriter font deeply impressed into paper that takes you to analogue heaven. 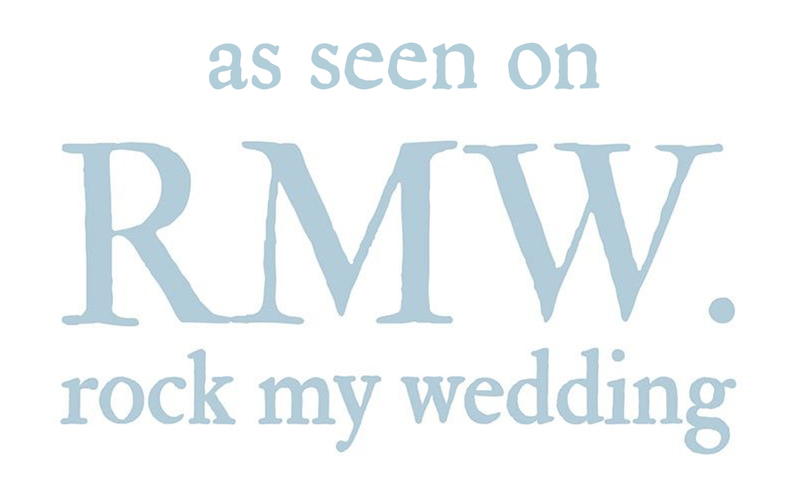 Here I've designed the letter as informal and friendly, the paragraphs indented. You could make it formal or have fun, or even personlise by writing each of the guest names. 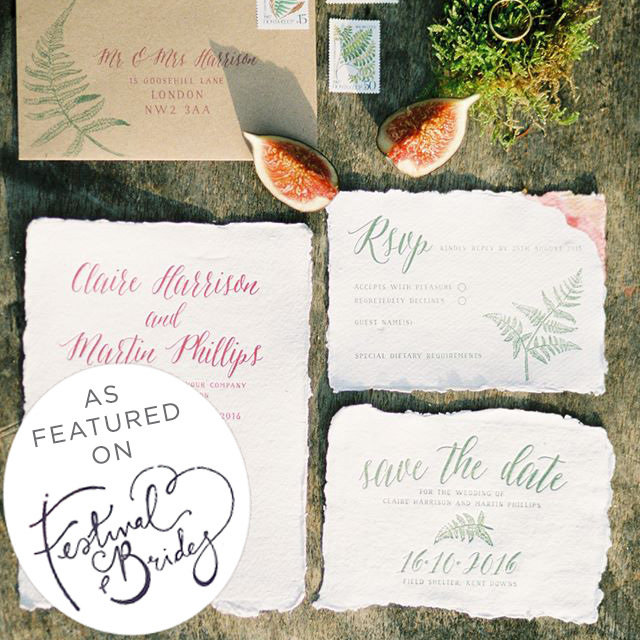 Pare it with a vintage style telegram as a save the date or RSVP. 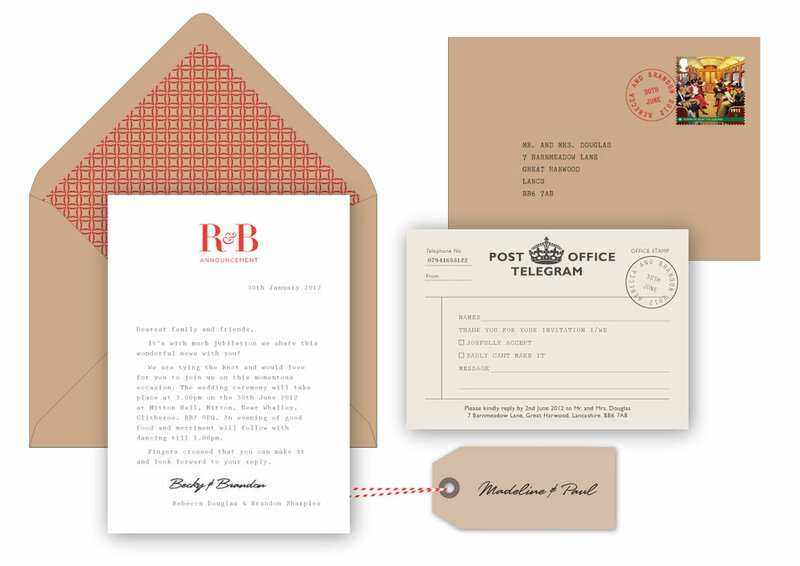 Tactile kraft envelopes, wax seals and vintage stamps finish off this nostalgic suite. Special edition stamps from Royal Mail are a fantastic way to add the finishing touches the your invitation envelopes. A good tip is to keep an eye out for Royal Mail launching a new collection of stamps and buy them in advance as they sell out fast! Your local post office is also a good place to buy specials in sheets. Much more exciting than the standard 1st class stamp. The monogram can be changed to a motif or a different monogram from the collection. Hot Foil monograms and matching white envelopes for the more luxe feel. Or even omit the monogram and go for a simple minimalist feel. So many ways to customise this set, I could go on forever. Available un-waxed for you to to finish as you like or in a choice of natural, light oak or dark oak finishes. Designed to be added to a small jug, vase or floral arrangement they are the perfect finish to your wedding tables. With a choice of finishes they are suitable for lots of wedding styles such a s rustic, country, vintage, boho chic or woodland wedding. Lots of lovely ideas keep popping in my head so watch this space!